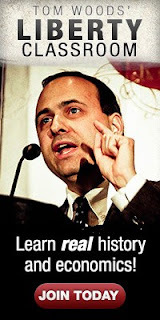 EconomicPolicyJournal.com: Will Bernanke Have a Leaking Chernobyl on His Hands? Will Bernanke Have a Leaking Chernobyl on His Hands? Is Fed chairman Ben Bernanke about to blow up the economy. I think it is a very real possibility. I have already made several comments on the news that the Federal Reserve will be reinvesting principal payments from agency debt and agency mortgage-backed securities (agency MBS) in longer-term Treasury securities, something they haven't previously done. What the FOMC announced was a slight change in policy: rather than allowing its balance sheet to shrink as the mortgage-backed securities it owns mature, it will maintain the balance sheet’s size by reinvesting the proceeds in long-term government bonds. Roughly speaking, it has gone from a completely crazy policy of monetary tightening in the face of massive unemployment and incipient deflation, to a policy of standing pat in the face of same. Whoopee. Bernanke does little, but the unemployed could in fact lower their reservation wages, circumventing need for monetary trick. These two comments are indicative of the failure to understand the complex possibilities that may emerge from the Fed's new initiative. I have long contended that Bernanke is something like a mad scientist. Pre-Bernanke, the Federal Reserve, as every Macro Econ 101 student knows, used three methods to control the money supply: the reserve requirement, the Fed funds rate and the discount rate. Fed chairmen, rightly or wrongly, used these three methods to increase or decrease the money supply. The three methods worked. Enter Bernanke, who was not happy with these proven methods. As the new hot shot Harvard economist Gita Gopinath put it, he has adopted "unconventional moves". Bernanke likes to call them "new tools." The problem with adopting new tools is that given the complex monetary system the Fed has constructed, it is not at all clear how these new tools will work under all conditions. Indeed, one small problem already developed with one of Bernanke's new tools. Banks that did not deal directly with the Fed, but who used larger banks when they dealt with the Fed, were not allowed to receive the interest on the money they deposited with the larger banks for deposit as excess reserves. When the larger banks received the new interest rate payments from the Fed, on the deposits of the smaller banks, the larger banks just kept the money. This caused many smaller banks to start pulling out the money they had on deposit with the larger banks and begin to deal directly with the Fed. This, of course, did not make the larger banks happy campers(they lost handling fees), so the Fed changed the rules so that the larger banks could actually pay to the smaller banks the interest on excess reserves belonging tto the smaller banks. End of mini-crisis. This was a small problem, but it points to the difficulty in anticipating in advance the types of unexpected problems that can pop up in such a complex system. One of the major new tools that Bernanke has introduced is the Fed's paying of interest on reserves that banks keep with the Fed. Most important is the interest paid on excess reserves. Excess reserves are reserves that commercial banks have not loaned money against that sits at the Fed. In the old days, pre-Bernanke's new tools, excess reserves were minuscule. Banks kept their money working. 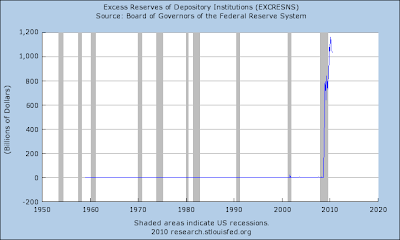 Now excess reserves are a staggering trillion dollars plus. , It is not clear how much of this is because bankers are fearful of making loans because they are fearful of the economy, and how much they are holding the excess reserves at this point simply because they prefer collecting the riskless interest rate paymentt from the Fed. In any case, a trillion dollars is still a huge amount to simply be hovering over the economy. But, here is the real kicker, and where Krugman is confused. This money is just hovering over the economy. It is not in the system bidding up prices. Thus, Bernanke's new move to reinvest the money is likely to put the money in the system.It won't just maintain the status quo, as Krugman believes. Here's why. Most of the money sitting as excess reserves is the result of another new Bernanke tool. Instead of using the three traditional methods to pump money into the system during the financial crisis, Bernanke went directly to the banks and bought MBS instruments, and the like. The banks then simply put the Fed payments back on deposit with the Fed. Viola! Huge excess reserves. It is very important to understand what went on here. The money never got into the system. The Fed created the money, but it never resulted in one penny of those excess reserves bidding on any goods. They are just sitting at the Fed. Never, ever in the system bidding on any goods. Thus, up until now, when the MBS instruments started winding down the money they received on these instruments (The instruments are generally 15 year and 30 year pools of mortgage securities, but because of refinancings some are prepaid)They did not reinvset the funds. By not reinvesting the funds, they were actually keeping money in the economy stable. Here's why. The Fed receives the money, and by retiring the funds caused a drain on those excess reserves that were never in the system. You can look it up. For the last year there has been no drain on the money supply (M2). The money in the system, i.e., in the economy was basically stable (with a small upward bias. )The reserves drained weren't having an impact on the money supply. When the Fed gets money payments on the funds it invested by buying MBS instruments, it is now going to buy Treasury securities in the open market. The purchase of Treasury securities in the open market is much different than buying MBS securities from banks that put the money on deposit with the Federal Reserve as excess reserves. Sellers of treasury securities will be all kinds of people that will keep it in the system. The money will matter. Even if the banks from their end continue to deposit some as excess reserves, when they are deposited by Treasury sellers , the other side of the ledger will show a sum held by the Treasury seller that will be in the system. How much new money will this mean for the system? B of A's Jeffrey Rosenberg is estimating that in the next 12 months $340 billion in MBS funds will be reinvested. If it does turn out to be this high. It could be very significant. This is roughly 17% of the total MBS instrument held by the Fed. An analysis of an admittedly small sample size of MBS factors of the Fed's actual holdings suggests that payments will be 15.3% over the next year. However, Rosenberg is including in his estimate $62.4 billion in Treasury debt and $46.9 billion in Agency (Freddie/Fannie) debt. English, correctly argues that this shouldn't be in the formula. Rosenberg estimates that in total money flow to the Fed from the MBS and the like will come to roughly $30 billion a month. English's estimate is $14.7 billion per month. Based on the English numbers, the basic reinvestment will roughly mean a an increase in M2 of 2%. But traditionally, an increase in new Fed money means a multiple effect on M2. Depending on when you look at the numbers, the multiple could be huge, say 10. What will the multiple be? No one knows? If the money that is deposited by those who sell their Treasury securities is then deposited by banks at the Fed as excess reserves (less a small amount in new required reserve). There will be no multiple effect (That is, it will be around 1). If the banks start lending this money out in a traditional manner, you could easily see a multiple effect on M2 of 5 to 10, which would translate into M2 growth of 10% to 20%. That would create a pseudo boom and huge inflation. With the economy suddenly "moving", bankers may then start to pull money out of excess reserves and start loaning that money out. What will this mean? Financial Chernobyl. Money supply would skyrocket. The most likely way the Fed could stop this is by heavy draining of Treasury securities (or raising the interest rate on excess reserves). But the drain, or the interest rate hike, to hold back a trillion dollars hitting the economy would have to be huge. The Fed could also raise the reserve requirement, or prevent banks from pulling excess reserves, although that would be the end of banks ever putting money as excess reserves ever again. What will the real flow of money from MBS payments be to the Fed? Will is stay stable? Go up? Or go down? What will the multiplier on the reinvested money be? Will it be 1 or 10, or somewhere in between? Will banks start loaning out their excess reserves? Will the Fed react to this by draining reserves or raising the rate on excess reserves? How high will the Fed have to raise rates, if they choose this route to counter things if money supply starts to explode. So there you have it. In an economy that could operate perfectly fine with a stable money supply (That is, no printing of money ever). A machine has been created that can ratchet up the money supply at any time. The methods now available to control the money supply are so complex that economists are now calling for Bernanke to go nuclear, when, in fact, Bernanke has created such a structure that it has to be considered so shaky that it could turn into a financial Chernobyl. Further, the variables here are too complex for anyone to understand far in advance, as to how they will play out. I believe the next 6 to 10 months will be among the most complex in monetary history. There is a strong possibility, but not a certainty, that money growth could get far out of control. Given the possibility that a financial Chernobyl may be in front of us, and that Bernanke has brought us this close, it is time to recognize that Bernanke heading the Fed is an extremely dangerous thing. The problem with trying to understand the possible results of the Feds actions is that unless you can see the entire operation, its basically a guess in the dark. These guys are like the magician on the dark stage who you know in your mind is using a sleight of hand to fool you, but all of your sensory inputs are telling you otherwise. 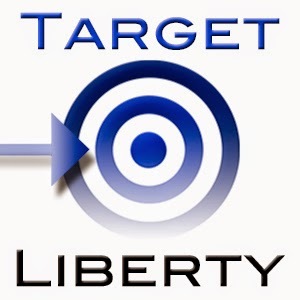 Since we can't see what the Fed is really doing (the side deals with other central banks) and all that we have is what they tell us, how can anyone other then those in the know have any kind of insight into what the outcomes will be? If this goes south, you should write a book on this. Anon1: The big picture here is that the Fed is financing the government and saving the banks while suffocating the productive economy by holding back bank credit. Its the only option they have to keep the system in place. To acomplish this, the idea the Fed has is to create heavy price inflation, but at the same time trying to contain hyper-inflation. So when things start to look out of control they will tighten to avoid hyper-inflation, to return to create inflation while things have calm down a bit. Why heavy price inflation? To destroy the debt. 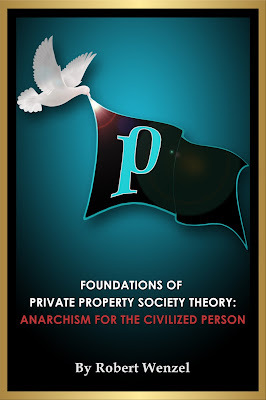 And the only way they have to do it while keeping the system in place is financing government (monetization). But because this is highly inflationary and could led to hyperinflation, the Fed will control the flow of the banking system credit (mainly through the interest it pays on excess reserves). As a side effect the economy will stagnate, but they dont really care. The end result after some years will be that the big banks are saved, the government is saved and the people will have suffered several years of depression and high unemployment, while most will have loose most of their savings. The fact that the Fed is practicing its tightening ops through tri-party reverse repos--even as it gears up for the next round of QE giveaways--leads me to believe it is at least aware of the possibility it will over-ease. Not that this should be particularly comforting. I think they may be aware, but what scares me is that if banks start putting the trillion in excess reserves to work, the size of the Treasury they are going to have to pull off will be stunning. Perhaps at the same time that the Treasury may need the Fed to come in to support a Treasury auction! 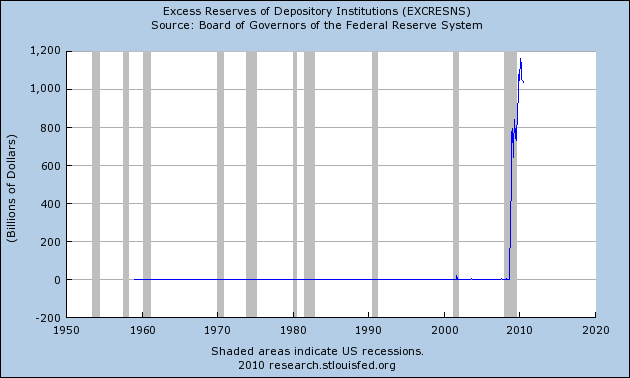 The banks turned the TARP capital infusion back to the US Federal Reserve where it resides as excess reserves, as is seen in the chart of excess reserves, EXCRESNS. The excess reserves are not being deployed in lending, they reside in a liquidity trap, and their value well be rapidly depleted by short sellers invested in ETFs like TMV and TYO, by people selling out of mortgage-backed bond funds such as GSUAX, and by investors going long in corporate, bank, and sovereign credit default swaps.